The holidays are a time for giving. You’ve chosen the perfect gifts for your family and friends, but what about the important pets in your life? We’ve got some great gift ideas and everything you need to know before choosing the perfect present for your precious pup. 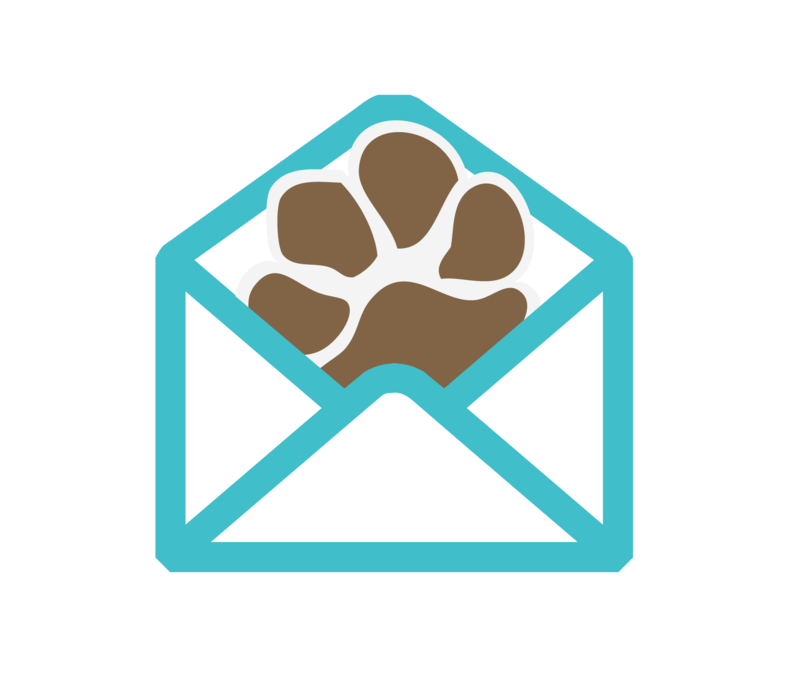 Whether you’re getting a gift for your own dog or maybe a friend or family member’s dog, there is some information you should know before ordering. Check out our guide to gifting collars, leashes, treats and more! To give a collar as a gift, you need to know quite a bit about the dog. Most importantly, figure out their neck measurement. Either measure the dog’s neck yourself or ask the dog’s owner to measure it. This will ensure you get the perfect size for the pup. 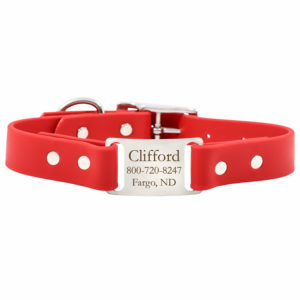 If you’re giving a collar to a puppy, you could check out our collars just for puppies. You could also choose a size range that would allow them to grow into it. It also helps to know what type of collar the dog likes. Do they wear nylon, leather or soft grip? Do they want embroidered or a built in tag? You can have fun choosing colors and personalizing it. Collars make for a fun gift that the dog will use for years to come. ID tags are a fun option for a gift because there are so many adorable designs to choose from. Is the pup sassy, classy, or adventurous? There is a tag for every personality. 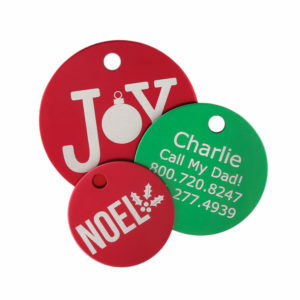 When giving a tag as a gift, you’ll want to know the correct spelling of the dog’s name. Also know the phone number of the person to call if the dog wanders off. If the dog has a microchip, get the number and include it on the tag – or choose specialized “I am Microchipped” Tag. If the dog is a smaller breed – choose the smaller tag size. 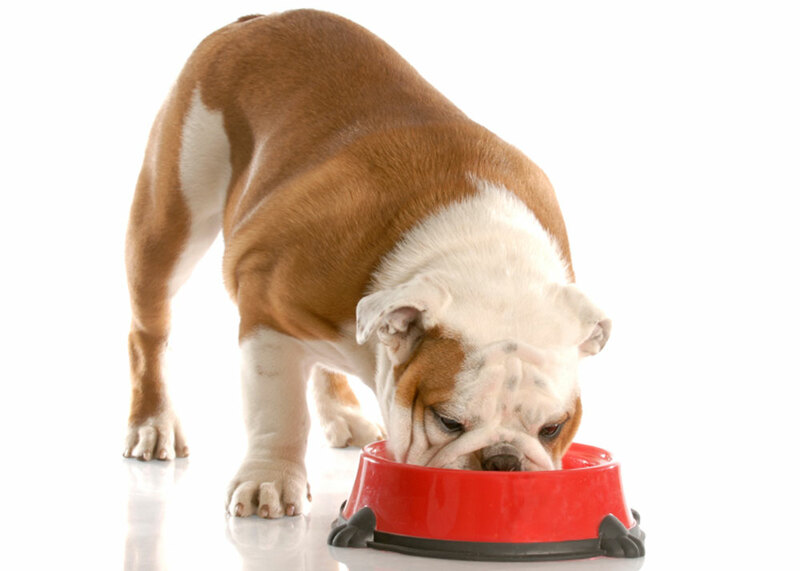 If the dog is larger – choose the larger tag size. 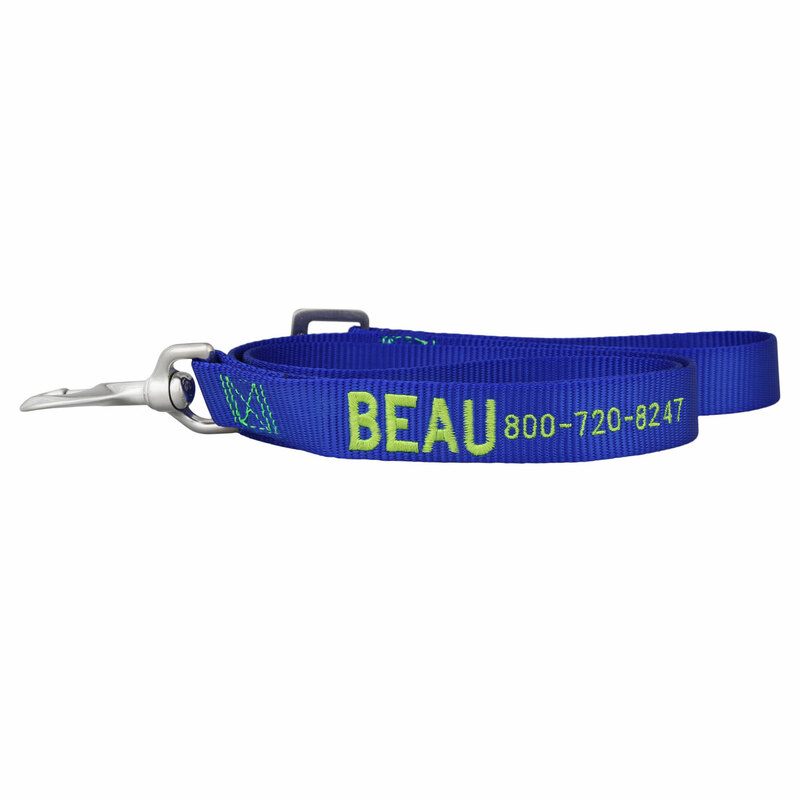 A custom leash is a fantastic go-to gift option. 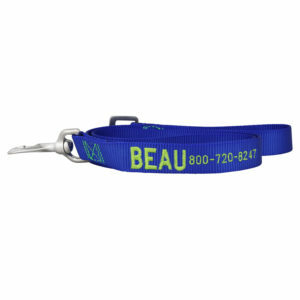 Some leashes offer embroidered or engraved personalization options. For these, you will want to know the dog’s name and the contact phone number. Then, you can choose the length, material and color to create the perfect leash for your doggo. You can’t go wrong with gifting a dog toy. 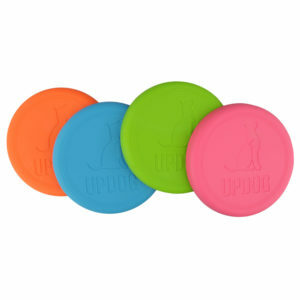 For these, you may want to know whether the dog prefers fetch toys or tug toys. You could also choose a toy that you can put treats inside. A toy is a great gift that will keep the dog entertained for hours. What dog doesn’t love treats? 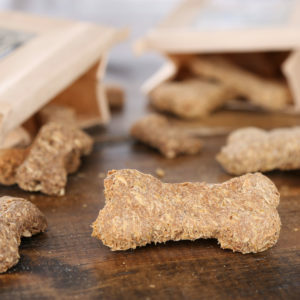 Before choosing a treat for the dog, be aware of any allergies the dog might have. 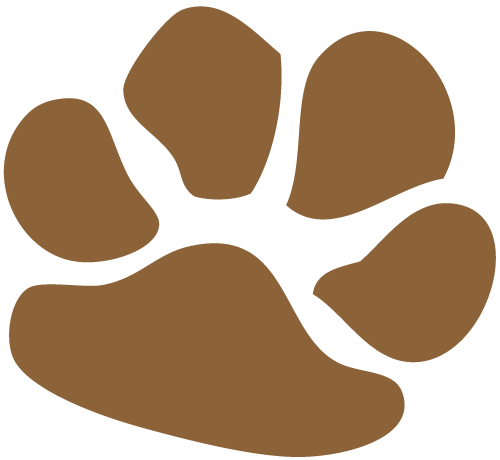 It may also be helpful to know whether the pup likes smaller, “reward” type treats or rawhide bone treats. No matter the treat you choose, you are sure to get a gracious thank-you lick. Thank you for these ideas. My lovely pup is important to me, he’s on the top of my present list. For this holiday season, I’m thinking to give him a new dog toy and I hope he’ll likes it.